EARLY VOTING starts Monday throughout Illinois. Community polling places are open, and, in many locations, later hours and weekend times make voting easier than ever. VOTE BY MAIL is also available to all voters. This important election will determine our state leadership and the makeup of the Illinois General Assembly, and we have to protect the victories achieved for LGBT Illinoisans. 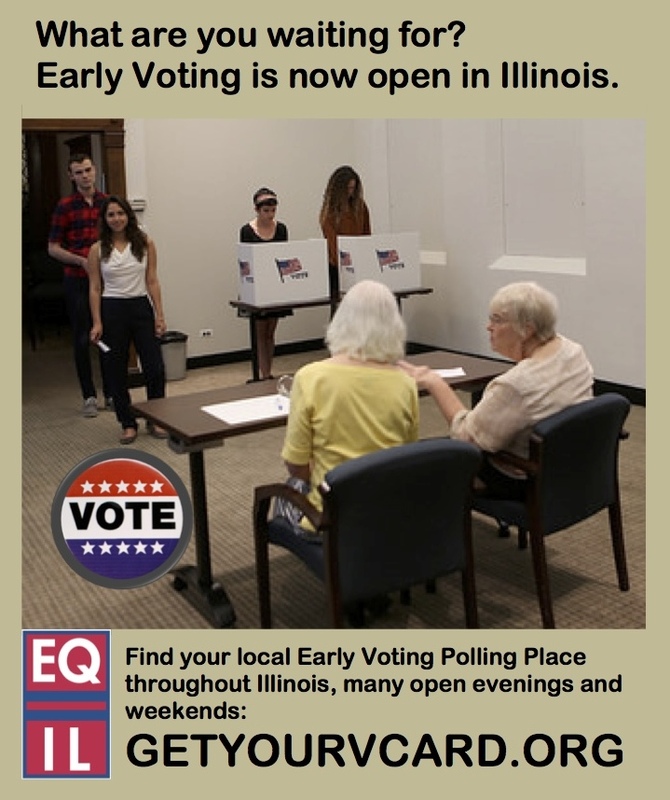 Find out more about Early Voting locations and hours in your community or apply for a Vote by Mail ballot at the Equality Illinois voting site.